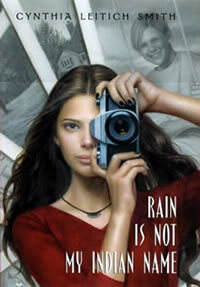 RAIN IS NOT MY INDIAN NAME by Cynthia Leitich Smith (HarperCollins, 2001). After the unexpected death of her best friend, Cassidy Rain Berghoff reconnects to her family and community through the lens of a camera. Cynthia’s debut novel RAIN IS NOT MY INDIAN NAME was published in trade and library editions by HarperCollins and released as a book on tape by Listening Library in July 2001. Suggested Title, Recommended Native Literature for Youth Reading Circles from American Experience: “We Shall Remain,” PBS, April 2009. “Probably every first novel is at least quasi-autobiographical, and that’s certainly true of this one. Like Rain, I grew up (in part) in Northeast Kansas and had ties to community journalism. I likewise enjoy Web design. “How A Story Of Loss Can Add Insight” by Holly Atkins of The St. Petersburg Times, March 2002. Comments by the “You Gotta Read This” Book Club on RAIN IS NOT MY INDIAN NAME. RAIN IS NOT MY INDIAN NAME from Cynsations. The story behind the story. 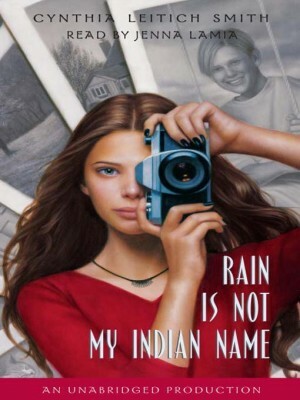 Reading Group Guide: RAIN IS NOT MY INDIAN NAME by Cynthia Leitich Smith features publication information; introduction; excerpt; discussion questions; author biography; author interview; and award/review excerpts. Chapter Discussion Questions, many of which also feature notes on the story behind the story and more. This has been very popular for classroom use, from elementary schools to college classrooms. Rain Is Not My Indian Name: Multiple Intelligence Projects by Tracie Vaughn Zimmer, for use as classroom material and internet resources. Features activities related to the following areas: Verbal/Linguistic; Logical/Mathematical; Visual/Spatial; Body/Kinesthetic; Musical/Rhythmic; Interpersonal; Intrapersonal. Diversity and Inclusion in Children’s and Young Adult Books: Overview from CYALR. Teacher and Librarian Resources for Native American Children’s and Young Adult Books from CYALR.